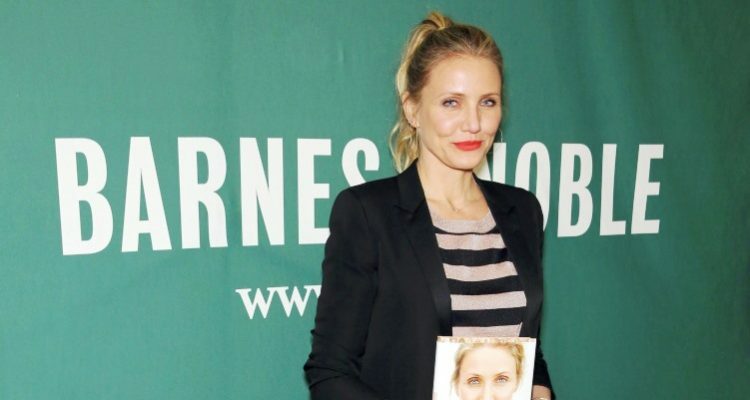 Cameron Diaz opened up about her wellness struggles in The Longevity Book: The Science of Aging, the Biology of Strength, and the Privilege of Time. Although Diaz may not appear to be aging, the star’s book is something of a guide to aging, combining the latest scientific research with on her own personal experiences. Another book by Cameron Diaz that explores similar themes is The Body Book: The Law of Hunger, the Science of Strength, and Other Ways to Love Your Amazing Body. The Longevity Book looks at the science of why we age, the taboo of aging, and aging and the female body. She also brings together advice and comments from top medical experts in the field of aging. How has Cameron Diaz embraced aging? She says that after she turned 40, she no longer felt a fear of aging and instead began to embrace it. She suggests that aging should be celebrated as people are living longer than ever. But with longevity (i.e., an aging population) comes greater responsibility with regards to jobs and the economy, the medical industry, and environmental issues. She’s grateful for every year in which she continues to age, because many others don’t get that opportunity. What’s Cameron’s biggest wellness challenge? She acknowledges that with aging comes personal responsibility (beyond the larger societal responsibilities mentioned above), regarding things such as getting proper sleep, good nutrition, and good physical activity. She also says that people don’t need to beat themselves up on each of the aspects of well-being; it’s enough to try work on improving each of these aspects the best you can each day. What Are the Five Pillars of Well-Being? Diaz’s five pillars of well-being aren’t that complicated: good nutrition, good movement of the body, a good night’s sleep, stress relief, and meaningful, connected, loving relationships. These are the fundamentals of well-being, according to Diaz, and by combining these five pillars together a person can really live their life to the fullest. The pillars also promote healthy aging. For Diaz, aging is simply living, and if you aren’t living well then you aren’t aging well. In The Longevity Book, Diaz offers advice on how to take control of aging and not fall victim to the ravages of time. “The Longevity Book,” Harper Collins Canada website, http://www.harpercollins.ca/9780062375186/the-longevity-book, last accessed July 29, 2016. “Cameron Diaz on Water, Aging, and Those Body-Hair Comments,” The Cut website, http://nymag.com/thecut/2016/04/cameron-diaz-workout-routine-diet.html, last accessed July 29, 2016. Roterman, N., “Cameron Diaz ‘The Longevity Book’: Actress Shares Secrets to Age Well in New Publication,” Latin Times website, http://www.latintimes.com/cameron-diaz-longevity-book-actress-shares-secrets-age-well-new-publication-378628, last accessed July 29, 2016.